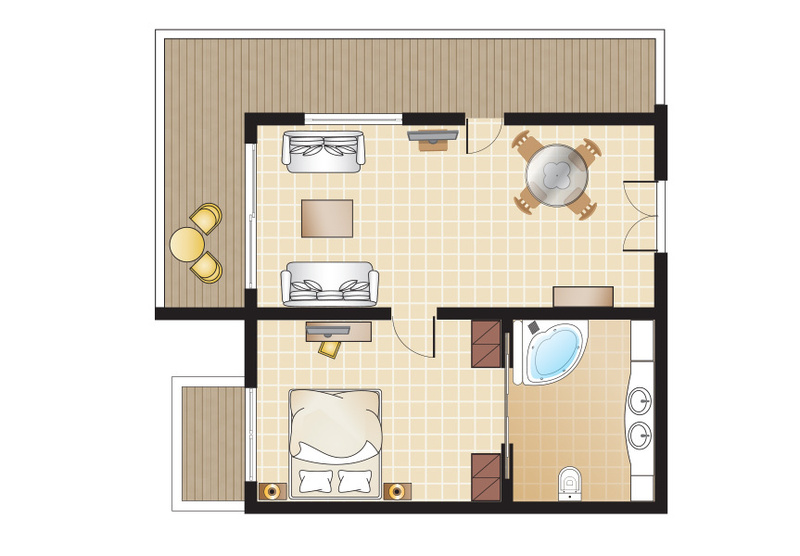 The luxurious Penthouse Suite is a spacious, elegantly appointed unit located on the top floor of the main building. Specials: Panoramic lofty views. Ample space. Floor to ceiling glass doors. White patina handmade furniture.